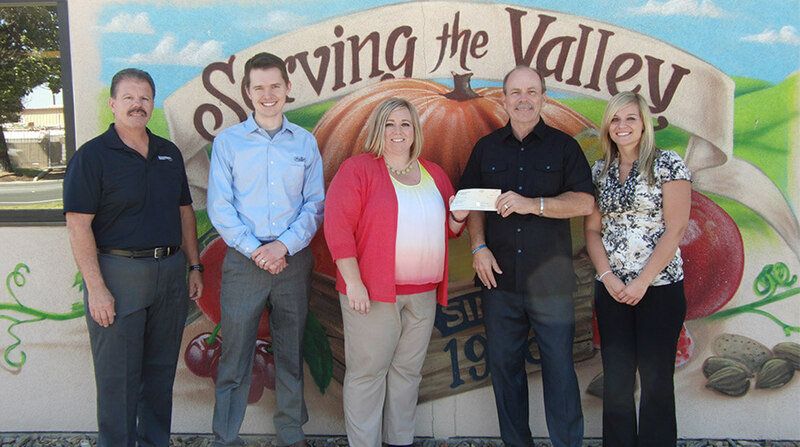 Swiss American Sausage Company (Lathrop, Calif.) a local subsidiary owned by Hormel Foods Corporation (NYSE:HRL) today announced a donation of $10,000 to the Second Harvest Food Bank to help fight hunger. The Second Harvest Food Bank has served the hungry in the San Joaquin and Stanislaus Counties since 1974 through their direct-service programs and collaboration with large partner nonprofit agencies operating at more than 700 different food distribution sites. Partner agencies include shelters, pantries, soup kitchens, children’s programs, senior meal sites and residential programs. The food bank also helps individuals find food assistance programs and learn about proper nutrition.